From 3.8 onward Appointments calendar will load instantly, regardless of how many appointments are active. Calendar will use lazy load to render appointments and also cache the output so everything is zippy fast. 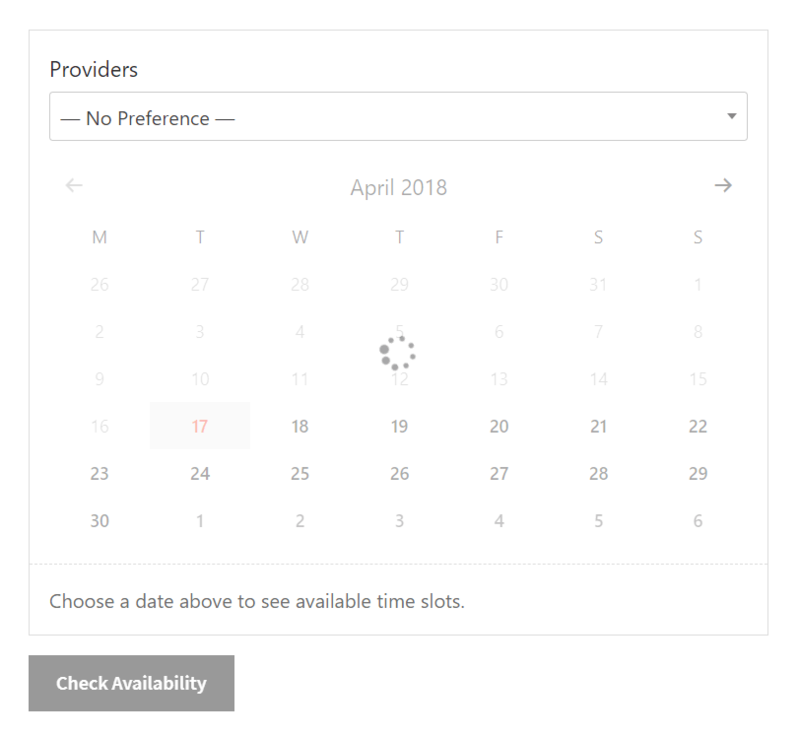 Appointments and calendar’s availability will be loaded after the page has stopped rendering, so customer doesn’t wait when you have large number of appointments or availability rules present. Staff can see new (monthly) appointments and appointments pending confirmations in a dashboard widget. At first glance it looks perfect AND simple. I’m working on a yoga class schedule in WooCommerce and so far this looks like it can do more than anything I’ve found so far. my customer’s computer, a text box is displayed in MS Windows system, please solve this problem ASPS, thanks. This has been resolved with update 3.9.0.